Hey, wanna feel old? The B-2 bomber, that sleek paragon of stealth smoothness that still looks like it’s from the future, is getting ready for retirement. The B-21 Raider is, of course, an as-yet unseen mystery plane that probably exists in corporeal form somewhere, but which has yet to be shown off to the public. Also, its cost has yet to be shown off to the public, as how expensive it is also just so happens to be a state secret. How many B-21s is the U.S. buying? Also a mystery! Because then you’d know how much they cost. Though the Air Force does seem to want somewhere between 80 and 200 of the things, depending on funding from the Congress, of course. The B-2 and B-1B that the B-21 is replacing specialize in long-range conventional strike missions, though the B-2 is also capable of dropping nukes. 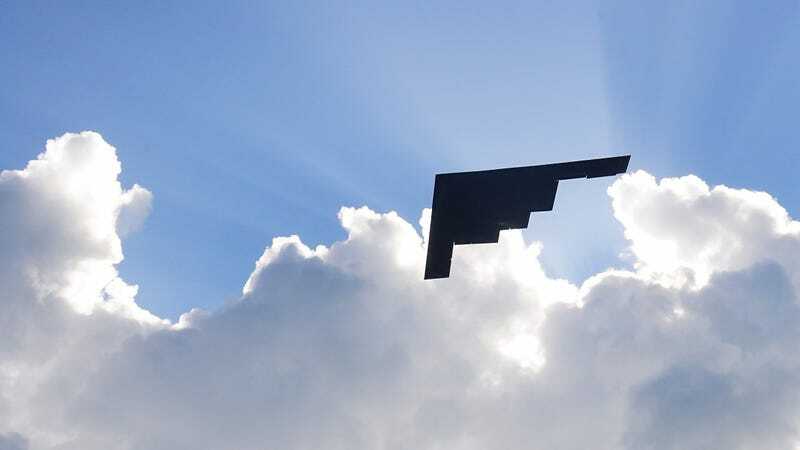 They go about their missions in different ways, too, with the B-2 moving relatively slow and relying mostly on its radar-evading stealth capabilities to get behind enemy lines, while the B-1B is capable of supersonic speeds and specializes in low-level bombing runs. The B-1B entered service in 1986 after a bit of a tortured development, and the B-2 entered service in 1997. May we all live in a world where none of these planes are necessary any longer, and may they all be retired long before their time is due.